This summer 30% of hospitals, schools and official buildings in Russia failed fire safety checks. The recent spate of fires in Russian medical institutions has once again drawn attention to the lack of fire safety in the country. The fire security department of the Ministry of Emergency Situations says it is starting additional checks of hospitals, schools and public access buildings. However, the problem is far wider. Ordinary houses, blocks of flats, are also far from meeting fire safety regulations. Safety precautions are simple – that’s the first thing fire inspectors usually say – but how to persuade people to implement them? 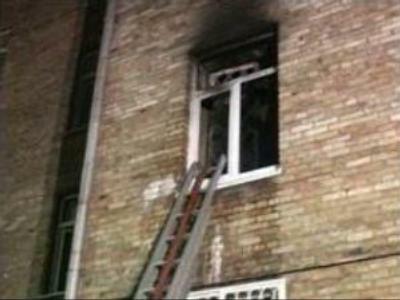 For example, bars on a window can prevent thieves from breaking in, but they could also prevent escape from a deadly fire. Yury Nenashev, a head of the fire department of the Emergency Ministry says we should decide which is more important. “A thief can steal something from your house. But fire can steal everything, including your life. I mean most people make fortresses out of their homes which is not safe for themselves in the first place. If you want bars on your windows – why not choose those which could be opened from within,” continued Mr. Nenashev. From the end of the 1980s the number of fire victims has risen dramatically from 6,000 in 1989 to almost 20,000 in 2001. This year the number has been reduced to 14,967 – which is still very high. And researchers say that the number is not likely to fall anytime soon. Over 20% of Russian schools don’t meet fire safety standards, some have been shut down. But provincial schools in wooden buildings are still open.